Your food truck is finally ready to go! You’ve found just the right truck, and you’ve equipped it with all the supplies and equipment you’ll need to run a thriving business. You’re always on the go, hitting popular streets in major cities and you’ve booked some big events! But there’s just one last thing. You need a rock-solid POS system to make sure you can track the sales of your popular food recipes. A point of sale system can show you what’s really selling, increase your average check size, and help you process orders faster. In this guide, we reviewed three top rated food truck POS systems. 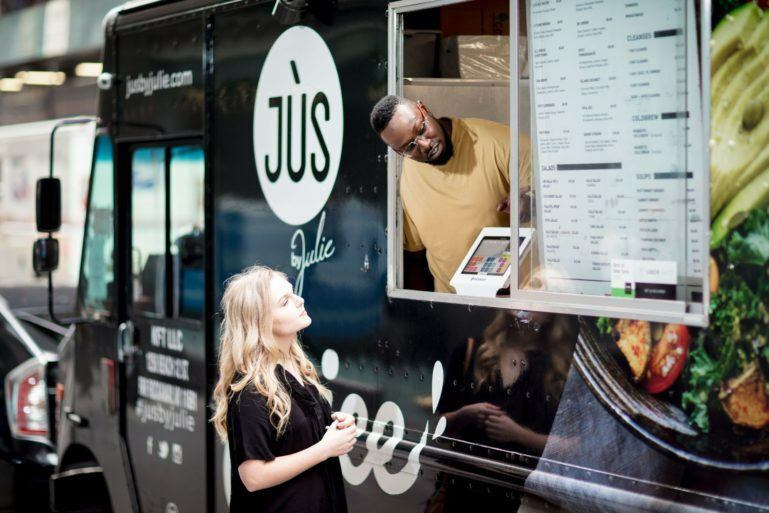 We help you understand the true benefits of a POS system for your food truck, with something as simple as taking your iPad out to the line so it can move faster. Food trucks are small-scale operations, even if you own more than one. Therefore, you don’t need a POS system with all the bells and whistles that a large restaurant chain might need. What you need is something simple that takes as little time as possible to learn and use when on the job. ShopKeep has you covered in that regard. They’ve earned the rightful reputation of being affordable and easy to work with. With top-notch customer service and a business model with smaller operations in mind, ShopKeep is a great entryway into the world of POS systems. Being an iPad-based POS system is also a huge boon. In a food truck, where electricity is as limited as the space, you’ll want hardware that is small and easy to run. iPads fit the bill perfectly in that regard. POS software is critical to any business. Therefore, it is important to make sure you select the right one for your needs and circumstances. Let’s get started with a detailed review of ShopKeep. ShopKeep is known for its affordability. In addition, they have the advantage of being a no-contract, pay-as-you-go, monthly subscription service, meaning any time you want to leave ShopKeep, you can with no worries whatsoever. They don’t charge any extra fees for maintenance or service, and all their tech support is included with the standard monthly charge. This is a huge difference between ShopKeep and other high-end POS systems. Two hours of free setup from a ShopKeep expert. Free ShopKeep Pocket iOS App. No contract, no commitment required. With the food truck business, you may eventually decide to get more trucks. ShopKeep remains affordable with this simple blanket pricing scheme in which it is only an additional $69/month to add another register. There is a less expensive option if you are willing to enter a contractual agreement. Doing so drops the price from $69/month per register to $29/month per register, which is so affordable it might as well be free! ShopKeep is a hybrid setup, meaning it runs locally from an iPad but syncs its data with the cloud. In the event of an internet outage, ShopKeep will store data on the local device and then resync with the cloud when the internet connection is restored. However, when there is no internet, credit card transactions will not process. You can avoid this by backing up your iPads with cellular data plans, however. ShopKeep’s target demographic are small specialty vendors, which food trucks fall into. Therefore, all of its features are designed around helping smaller outlets efficiently and easily manage all their day-to-day business needs, and the longer inventory management needs as well. ShopKeep will require iOS 8.2 or higher to run off iPads or iPad minis. They have an online hardware shop that you can browse for peripherals if you want to. You don’t have to purchase your hardware through ShopKeep, just remember to buy compatible gear. The ShopKeep interface is as simple as one, two, three. At first glance, one can instantly see that the interface is as clean, simple, and intuitive as a smartphone or tablet device. There are sound effects and animations for actions that make sense, rather than detract from the experience. When you first log-in to the back-office feature, you’ll be ran through a guided setup process that teaches you about all the basic features. Register: your register is important, and ShopKeep makes sure it comes loaded with features. 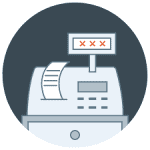 Ring up items, add modifiers to pricing, take payments, split tenders, on-the-spot discounting, as well easy returns and refunds are all possible right at the register, ensuring customer issues are handled easily and quickly to keep that line moving. Back Office: this system manages your inventory, your customers, and your employees’ time, keeps a record of all the transactions, offers a variety of reporting options for analyzing business data, and serves as a portal to technical support by live chat and email. Inventory management: gives you a wide range of features for which to manage your food truck’s inventory. Reporting: generates detailed analytics of business data. Tax Rates: set tax rates to make sure tax season is as simple as possible. Multi-Store: integrates easily with more than one food truck. Integrations and Add-Ons: ShopKeep integrates with several other apps and services, such as MailChimp, QuickBooks Online, AppCard, BigCommerce, and several others. Credit Card Processors: go with ShopKeep’s own recommended system, or choose from one of the widest range of processing companies available. ShopKeep made sure to set a standard for customer relations. They’ve even won an award for their stellar customer service. They offer unlimited 24/7 support by live chat, email, text, and web inquiry. If that doesn’t solve your issues, ShopKeep will reach out to you via phone to get the problem solved. Their support site offers a suite of options for you to problem solve on your own, from comprehensive articles to tutorial videos. They have a strong social media presence as well, so you can stay up-to-date with all the latest ShopKeep updates and developments. When ShopKeep was just getting started, people complained about bugs and other issues, but most of these issues have been worked out. A number of customers have claimed that ShopKeep’s customer support is great when you are a new customer, but after being with them for some time, the quality will begin to rapidly decline. Another iPad-based POS, Revel was started in 2010 by CEO Lisa Falzone and CTO Chris Ciabarra. Since then they have earned a solid reputation as a POS provider, and have significantly expanded their operations. Revel offers industry-specific pricing software packages that come with monthly subscription fees. They service industries ranging from restaurants and hotels to smaller scale food trucks and yogurt shops. Pricing is flexible, depending on your industry and setup. All the subscriptions include 24/7 live support, unlimited data storage and security, unlimited software updates, and a QuickBooks integration. You’ll have to call them with the specifics of your business to get a pricing quote. Like ShopKeep, this is a hybrid system. Revel POS is run locally through the iPad and syncs data to the cloud. “Always On” mode ensures that your POS will continue to function if your internet connection cuts out. Like ShopKeep, credit card authorization cannot occur while there is no internet connection, so accepting these types of payments is a risk while you are in the dark. Revel doesn’t service any specific industry. They tailor-fit their requirements to each business depending on their needs. For your food truck, Revel will be able to easily tell you what the pricing scheme will be and what you’ll need from them. The whole POS runs off an iPad so you’ll need the latest iOS operating system. They offer complete hardware bundles that you can purchase directly from them, or you can purchase the hardware from somewhere else, just make sure it’s compatible with their POS system. Revel is extremely easy to use once setup. The front end is intuitive and simple in its design, making it easy to navigate. The back end has training videos to help you learn the specifics of the features. Revel comes with a feature suite sure to make any food truck owner comfortable in choosing Revel. Real-Time Inventory: adding and managing inventory is simple and in real-time so you can see exactly what your business needs when it needs it. QuickBooks Integration: automatically imports data from your POS to your QuickBooks account to streamline the bookkeeping process, syncing sales, inventory, purchase order and accounting data, and much, much more. Customer Management: track customer purchases as well as vital customer information such as name, address, phone number, and email. Employee Management: give each employee a unique and secure PIN-activated login or swipe card to track time, performance, and activity within the system. Intelligent Reporting and Analytics: make sure you can track how your business is faring in the world of business with its extensive and broad-ranged reporting features. Loyalty Program: encourage long-term customers by offering loyalty programs. Integrations and Add-Ons: in addition to QuickBooks, you can integrate Revel with a variety of other apps, such as digital menu boards, kitchen display systems, eCommerce/online ordering apps, more employee management apps, payment apps, etc. Revel offers 24/7 support to all customers via phone, email, remote support via technician access, web support, and onsite support. In the past people have complained about issues with the QuickBooks integration, but these issues should have been resolved by now. Customers have also reported that the first-time setup can be a long process. Like any other software package, people have also reported glitches from time to time. This is a unique POS system designed specifically for food truck vendors. The simplest explanation for what Square is that it’s a mobile payment processing solution that allows you take orders. And what’s more, there’s no monthly fee! Square’s pricing is simple. There are no hidden fees or pricing tiers. Let’s break it down. Keyed-in, Card on File, and Virtual transactions: 3.5% + $0.15. eCommerce transactions, invoices: 2.9% + $0.30. Stand plus chip reader: $169. EMV-only headphone jack card reader: $29. EMV/NFC Bluetooth-powered card reader: $49. Dock for EMV/NFC reader: $29. Gift cards: per-card cost (starts at $2 per card and drops as you order more). Square Appointments: $30/month for one person, $50/month for 2-5 staff, $90/month for unlimited staff. Square Payroll: $20/month + $5/month per employee paid. Employee management: $5/month per employee. Email marketing: $15 per month and up, depending on package. There is no early termination fee for contracts or locked-in contracts with Square. 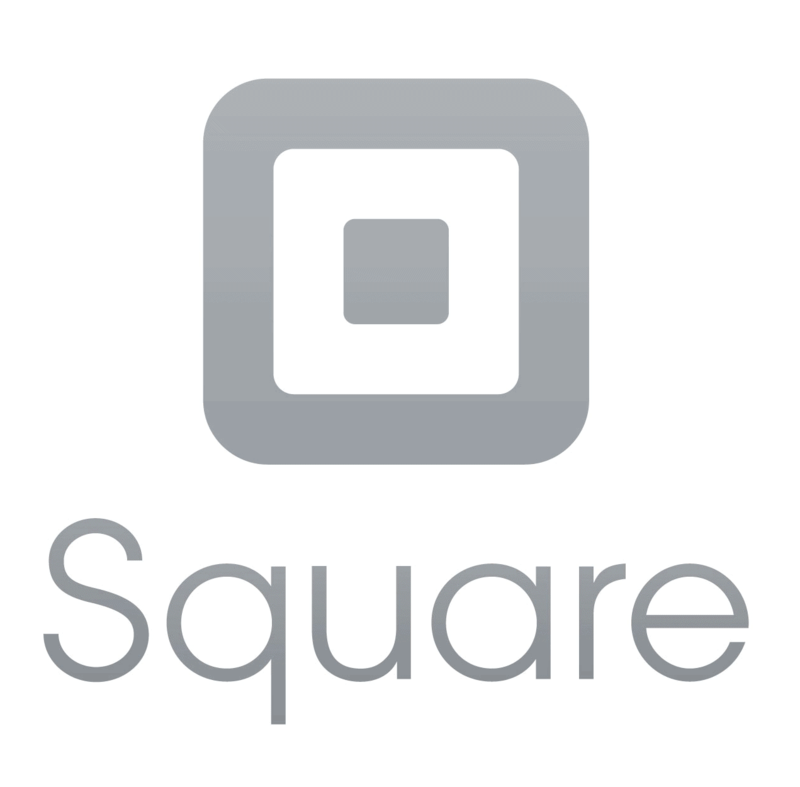 Square is a cloud based POS system, running entirely off an iPad or similar device. All data will be synced with the cloud and dependent upon an internet connection to the iPad. Square can run off iPads with iOS 8.0 or later, but is also compatible with iPhones and iPod touches. Some features, such as receipt printing, are iPad exclusives. Their Android support is a bit spotty, but works so long as the device runs Android 4.0 or higher, with GPS and Google Play enabled. Square is one of the easiest to use POS systems out there. Even the advanced features are simple to learn. All the features are intuitive and make sense, and the customization options allow you to go about things your own way. The feature suite is pretty basic, which is a huge downside. You’ll need a lot of integrations and add-ons for advanced functionalities. The basic feature set is a bare-bones method of accepting payments in exchange for items or services. You can find a huge list of available integrations and add-ons on their website. Customer support has been a consistent problem for Square customers. They offer phone support now, but they didn’t always do that. They have a useful support site that you can use to troubleshoot issues on y9our own, and you can reach out to them at their support email. Part of the reason for the strain on their customer support system is that so many merchants use their service, which is a testament to the product in its own right. Customer support is going to be your biggest issues. And while there are no monthly fees, you will quickly discover that the more features you need, the more integrations, add-ons, and hardware you will need to purchase, some of which come with monthly fees. ShopKeep wins our review list. They are affordable and upfront with what they are delivering. They deliver top-notch customer service, and even the most basic version of the POS comes loaded with useful features. As a food truck owner, you'll need the right tools to succeed in this quick service business. It’s for these reasons they earn the number one pick on our list. Coming in after ShopKeep is Revel. They have a more nuanced pricing scheme, which can be a benefit or a downside depending on your circumstances. Nevertheless, like ShopKeep, Revel delivers on product features that are useful for a wide range of industries, including food trucks. We rank them lower than ShopKeep because their pricing scheme isn’t as clear. In the last place is Square. If you know exactly what you want and you know that it won’t require any advanced features, hardware, integrations, or add-ons, you can use Square and save yourself a lot of money on monthly charges. The main downside is that the more features you need, the more money you will have to dish out. They do take a certain amount of profit off every transaction, so even though there is no monthly fee you will end up paying them a lot in the long run.